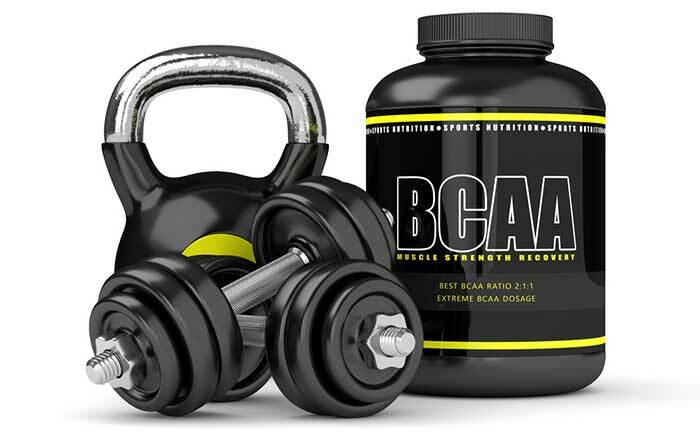 What are BCAAs - Branched Chain Amino Acids, What Do They Do? BCAA stands for “branched-chain amino acids” and, whether you know what they are or not, your body needs them. You can times that by ten if you’re regularly hitting the gym and hoping to pack on some quality muscle. As with any other nutrient, in the normal state of affairs, your body gets BCAAs from food. However, they are also available in supplement form. Lots of bodybuilders top-up their stores of BCAAs in this way. Many other athletes use BCAA-providing supplements too, though it’s fair comment to say lots of people who use these amino acids are not really certain what they are. They’ve probably heard or read somewhere that BCAAs are good and decided to give them a go. Life’s like that. There’s a hell of a lot of car drivers in the world, but not many of them understand how an internal combustion engine works. They just know what it can do. The fact that you’re reading this article suggests you are already using BCAAs or thinking of using them and don’t like the idea of driving blind. Good for you. However, it’s no good trying to run before you can walk. Before you can understand what’s so special about branched chain amino acids, there’s something else you need to know. Branched chain amino acids are a sub-group amino acid. So the first thing you need to know is what an amino acid is. Food provides the body with the raw materials it needs to keep on doing the things its supposed to do. You know—all those things that keep you alive. The word “food” is really just an umbrella term that covers all the items that it’s safe for us to eat. And, when you get right down to the brass tacks of the matter, it’s not really the food that’s important. It’s the nutrients it provides. The nutrients provided by food include protein, fat, carbohydrate, vitamins, and minerals. 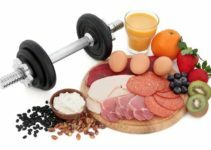 Protein is the nutrient most associated with bodybuilding but the body needs them all. 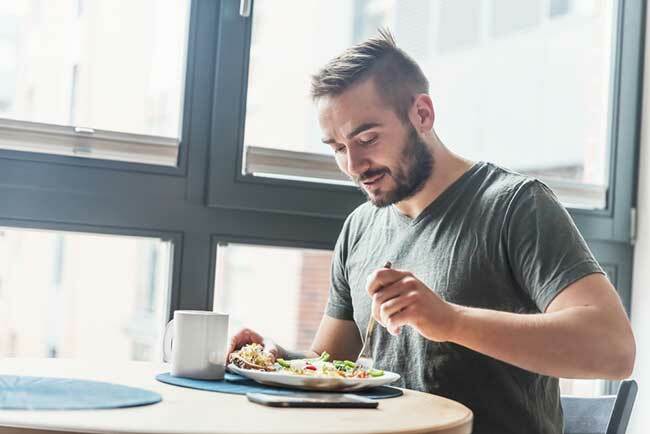 Protein may play an important role in muscle growth and repair but it, too, can be split down into smaller parts called amino acids. That’s why amino acids are often referred to as “the building blocks of protein”. In total, there are 20 amino acids. All of them can be provided by food, but the body can also manufacture certain amino acids. That’s why you may have heard the terms “essential amino acids” and “non-essential amino acids”. Non-essential amino acids are the ones the body does not need to get from food. If the diet does not provide them it will go ahead and make its own. Eleven of the 20 amino acids are non-essential. It’s “essential” the body gets the other nine from food. However, not all protein-providing foods contain the same combination of amino acids. The protein from meat, fish, dairy, and eggs tends to provide the best spectrum of essential amino acids. That’s one of the reasons vegan bodybuilders have to put extra thought into planning their diets. Just in case you haven’t guessed already, these three amino acids are the only amino acids that are classed as BCAAs. Collectively, leucine, isoleucine, and valine account for up to 33% of muscle mass. The term “branched chain” relates to the unique chemical structure these three amino acids share. On a molecular level, they have an aliphatic side-chain with a branch. Bearing in mind the fact the average person wanting to learn about BCAAs is more likely to be wearing shorts and a T-shirt than a lab coat, that’s enough said about that. When you exercise your muscles you cause muscle tissue to break down. There’s a name for this process and it’s a word with which most bodybuilders will be familiar. It’s called catabolism and it’s the trigger that encourages your muscles to grow. The human body is a marvelous biological machine and part of its in-built programming is to be self-healing. When it senses a loss of muscle mass, due to exercise, it gets to work making the necessary repairs. There’s a special name for this process too. It’s called anabolism. The important thing to remember is when the body repairs the muscles it always overcompensates by making them slightly bigger and stronger than they were before. If the body didn’t do this, bodybuilding would not work. You’d exercise your muscles, the body would replace the lost tissue and you’d be back to square one. Amino acids are are the raw materials the body uses to make its repairs. However, human muscle tissue consists of a special “recipe” of amino acids. Leucine, isoleucine, and valine are the key ingredients in the body’s recipe for making muscle tissue. Once you know that, it’s easy to understand why BCAAs are so important to bodybuilding. It’s all about speed. That’s it. The real argument for taking supplements is they are believed to be fast-acting and it’s easy to understand why. Think about it for a moment. Say you have just wolfed down a nice juicy steak. Your body has to go to the work of digesting all that meat before it can extract the amino acids it needs. Proteins and fat are the two nutrients the body finds it hardest to digest. Depending on the cut you choose, you are likely to get 70-80 grams of protein from a 9-ounce steak. That’s very good and, like all red meats, beef is a “complete protein”. That means it provides all of the amino acids your body needs. The digestive process begins in the stomach. The stomach acid teams up with an enzyme called peptin and begins separating the protein bonds. Next, the protein has to travel to the small intestine. Once there, a combination of enzymes and pancreatic and intestinal fluids complete the job that began in the stomach. So, in actual fact, the amino acids from the beef protein don’t become available until the protein reaches the intestines. Once there, they pass through the walls of the intestine, and into the blood. Supplements that provide BCAAs are often mixed with water and consumed as a drink. Even the one produced in pill format dissolve quickly in the stomach and liquefy. Liquids pass through the stomach and into the intestine much faster than food. So a liquid that is rich in amino acids can be absorbed fast. Remember, there is nothing to break down, all the hard work has already been done. Presuming you haven’t done any skimming or skipping, you should have a better understanding of BCAAs. Hopefully, you now know what they are, what they do, and why they are important. But, apart from supporting muscle growth, what are the other benefits they provide? A lot of people experience sore muscles after a workout. That’s not surprising bearing in mind what the exercises have done to the muscles inside. Some people can experience muscle soreness for two days or more after their workout. Especially if they have just started a new exercise routine. When people change one exercise for another to promote muscle confusion, that can do it too. Research suggests BCAAs have the ability to ease post-workout muscle damage and soreness. Research shows that, as well as reducing muscle soreness, BCAAs offer protection from fatigue. That’s an ability many bodybuilders will appreciate. If you want to get the maximum strength and size gains, you will need to train hard. Nothing good comes without hard work. There are no easy rides. Unfortunately, feelings of fatigue are responsible for holding a lot of people back. When you are busy bench pressing or doing leg extensions, your muscles are busy using BCAAs. This causes the amount present in the blood to drop. This drop in circulating BCAAs has an unfortunate knock-on effect. It causes tryptophan (essential amino acid) levels to increase in your brain. This is then converted to serotonin, which causes feelings of fatigue. That’s why some pre-workout drinks are loaded with BCAAs. BCAAs also prevent muscle wastage. Muscle tissue is constantly being broken down and replaced. That’s a fact of life and it doesn’t matter if you are a bodybuilder or not. The only difference between bodybuilders and the average crowd is bodybuilders give their muscles a harder time. Muscle wastage occurs When more muscle tissue is being broken down that is being replaced. A number of different things can cause muscle wastage. Malnutrition is one of them. Diseases like cancer can cause it too. So can the aging process. There’s even a special name for that one. It’s called sarcopenia and it generally starts rearing its ugly head when people are in their 30s. Once age-related sarcopenia kicks-in, inactive people tend to lose 3-5 percent of their muscle mass each decade. Bodybuilders have it better. The love of iron provides some degree of protection. However, getting older can make it harder to attain reasonable gains. Research suggests supplementing with BCAAs may be a good way to ward off sarcopenia. Using a supplement of this nature could also be a good way to prevent loss of muscle mass due to cutting. Whether or not BCAA supplements are needed or not is a hotly debated issue. There is a boatload of evidence that shows they improve protein synthesis and offer other valuable benefits. Yet lots of people argue the best thing to do is get them from food. If there were no supplements, everyone would get their BCAAs from food anyway. Whey protein powders are also an excellent source of BCAAs. So it’s easy to understand why there are so many nay-sayers. However, BCAA supplements are processed faster than the protein from food. They are also quick and easy to take. That does offer advantages. If you’ve just completed a gruelling workout, taking a supplement is a good way to get nutrients into the body fast. It could be argued that this is a good way to make sure the body has what it needs when it needs it most. In reality, it’s going to come down to a matter of personal choice. Hopefully, the information provided in this article will help you make your decision. The important thing to remember is supplements are intended to “supplement” a nutrient-rich diet. They should never be seen as a way to replace it. What are BCAAs - Branched Chain Amino Acids and What do they do?